The 6 games similar to SimCity are all categorized under the city-building genre. Each of them offer familiar gameplay elements where PC owners get to play God by creating a whole city from scratch and thereafter, responsible for its management and growth. Although SimCity invaded the game terrain way back in 1989, titles such as this still manage to captivate players even today. So for all those who are on the lookout for alternatives to the engaging game in question, we urge you to read on. 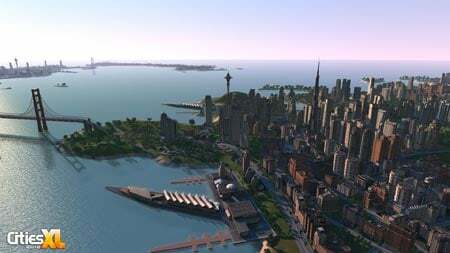 Claimed to be the new version of the well known City Builder title, Cities XL 2012 enables gamers to build different places and connect them to each. With the Cities Xl planet as your canvas, you can create different structures by taking advantage of around 1,000 buildings and more than 60 different constructible detailed maps. You must step into the shoes of a virtual mayor to the cities you spawn by addressing the indigenous’ every need. Whether there’s a shortage of energy or lack of transportation, it’s up to you to solve these problems and strike a perfect balance between the various services endowed on your citizens. Trading with various cities also helps boost your economic development. Cities XL 2012 can be purchased for just under $40. Developed by Haemimont Games and published by Kalypso Media, Tropico 4 offers a set of whole new challenges to you, El Presidente. During a time when the rise and fall of geographical powers rule the scenario, you’ll be tasked with invoking the support of the area’s inhabitants. New political additions and features make their entry into this iteration of Tropico. And besides taking care of the political front, you must also brace yourself for Mother Nature’s wrath, which will really test your skills as a leader. Social butterflies can even share the action with friends thanks to the inclusion of Twitter and Facebook. The game is packed with a new campaign that comprises of 20 missions on 10 maps as well as 20 new buildings such as a shopping mall, stock exchange and aqua park. The natural disasters that await you include tornadoes, volcanoes and droughts. And like the aforesaid title in our games like SimCity roster, Tropico 4 can be yours for under $40. 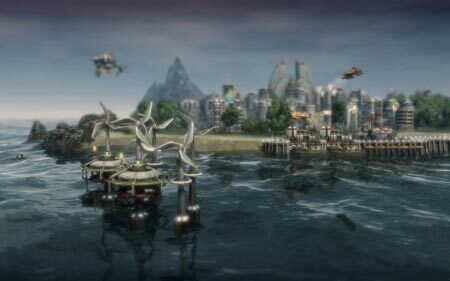 In Anno 2070, you’re presented with a world that has undergone a lot of alterations in terms of climate change and the rising level of the ocean. Your job is to maser trade, diplomacy and resources in order to create a prosperous society that’s filled with megacities and colonized islands. As the title progresses, you’ll see engineer production chains like diamond mines, robot factories and oil refineries sprouting up all over your dwelling areas. You are further called on to shape a futuristic world, so put on your virtual hard hat and prepare to build with the tiles of tomorrow. While Anno 2070 is priced at $49.99, a special deluxe edition is also up for grabs for just under $55. The ancient Egyptian civilization was a flourishing one that witnessed the creation of the Great Pyramids and the mighty Sphinx. 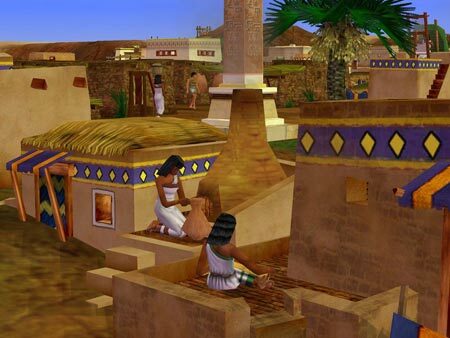 You can now act as Pharaoh to this extraordinary empire and build a prosperous nation through thousands of years. Start small with simple hunters and gathers and create your way across the century by endowing the arid plains with tombs, gigantic monuments, temples and local economies. All the inhabitants such as scribes, laborers, entertainers and priests depend on their leader to guide them through famine, floods and other threats. Have you ever looked at the Big Apple and thought that maybe you could chisel it out a little better? 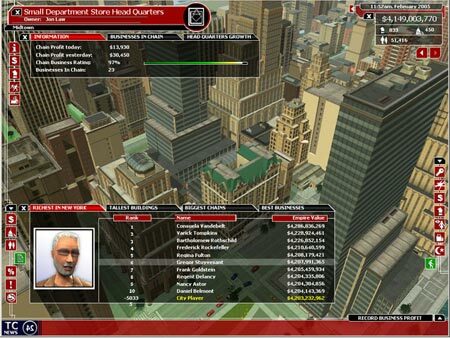 Well, now you can do just that in Tycoon City: New York. Raise your personal Manhattan empire by exploiting more than 100 business opportunities and even customizing a few of your own. Putting you at the center of all the activity, the title lets you organize the Thanksgiving Day Parade, host a Central Park concert and even build your dream New York skyline. Furthermore, the exciting US metropolis can be littered with true-to-life neighborhoods, a Broadway theater, well known landmarks and real-world brands. So take a bite out of the Big Apple and see how you can chew your way across the title. 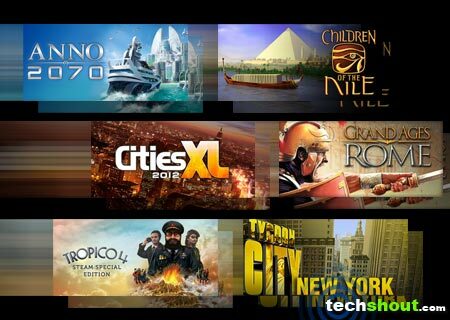 You can get your hands on Tycoon City: New York by shelling out only $9.99. From Egypt and New York, we now globetrot all the way to the capital of Italy in our next games like SimCity array inclusion. In Grand Ages: Rome, Caesar and Pompey vie for power over the Republic. This gives you a chance to gather followers and gain control over the formidable historic civilization. You can dabble in an advanced battle system that includes 18 different military units complete with mercenary forces, elephant cavalry and naval command. There is also an online multiplayer functionality with half a dozen strategy modes to endure. 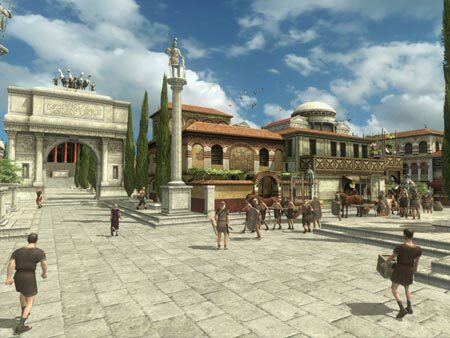 In this title, you’ll be able to build renowned monuments such as the Pantheon, Circus Maximus and the Coliseum while sharing virtual space with the likes of Mark Antony, Julius Caesar and Cleopatra. 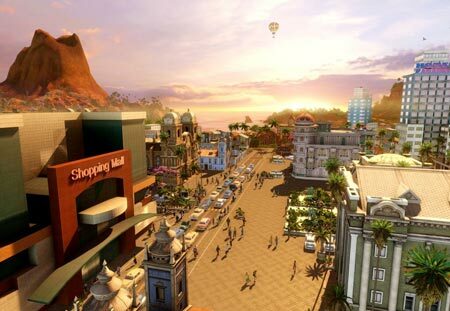 SimCity, the brainchild of developer Will Wright, will make its presence felt once again in the gaming arena with the introduction of the sixth major iteration in the city-building series. This gem is expected to unleash sometime early next year. But until then, fans can keep themselves busy by trying out our 6 games similar to SimCity. So which among these Steam titles caught your eye?